Growing girls’s golf in Birmingham! Over the past couple of months or so we have introduced over 50 new girls to the game of golf; in an attempt to raise the profile of our game in a declining market. Although girls are hugely under-represented in our sport it is our vision to help turn these numbers around in Birmingham and the West Midlands. Thanks to funding from two of our partners; Sport Birmingham and the Golf Foundation, we have been able to forge 2 strong relationships with local girls schools, Turves Green Girls in Longbridge and St Paul’s Girls School in Edgbaston. The funding has allowed us to go into these schools to run 6-8 week Golf Xtreme programmes in a fun environment so that we engage the girls and encourage them to continue to attend these sessions. We coach the sessions with a “street golf” feel, using the schools natural surroundings to create fun games and skills challenges! 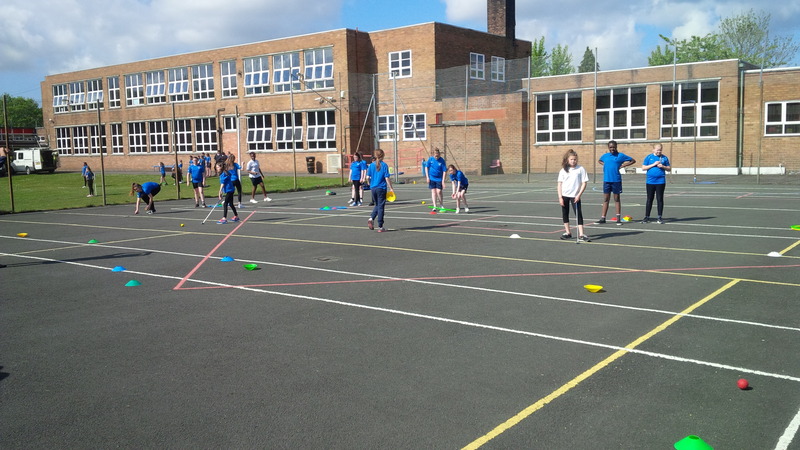 Turves Green Girls during a “street golf” session on their tennis courts! The coaching at both schools has proved very successful and all of the girls attending these sessions are engaging with us and enjoying their introduction to golf. We believe that for us to retain these girls in golf and get them to attend our golf club’s to participate regularly, they have to be introduced to the golf course during the coaching programmes. 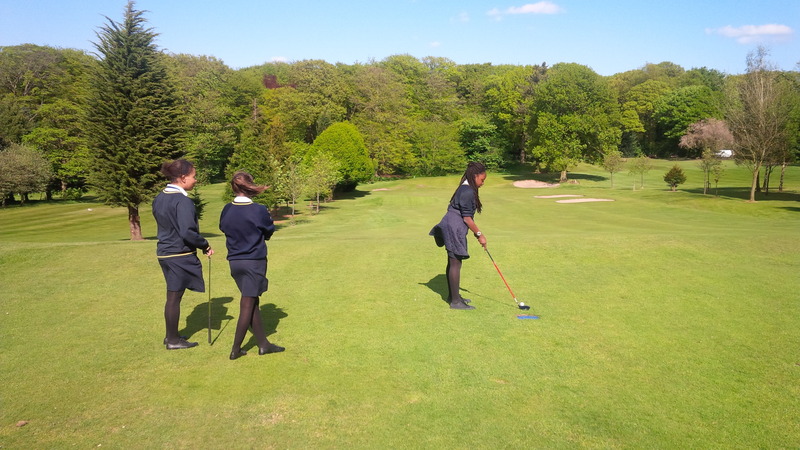 Our venue, Warley Woods GC is situated just off the Hagley Rd close to Bearwood and is the perfect venue for these girls to experience ‘real’ golf for the first time. The course has recently invested in blue tee markers that allows us to play the girls from a shorter distance to the full length course, hence them not been put off by the longer holes! Thanks to our schools coaching programmes we currently have 10 girls attending regular coaching at our academy and just this weekend two of them competed in the Churchill & Blakedown junior open. 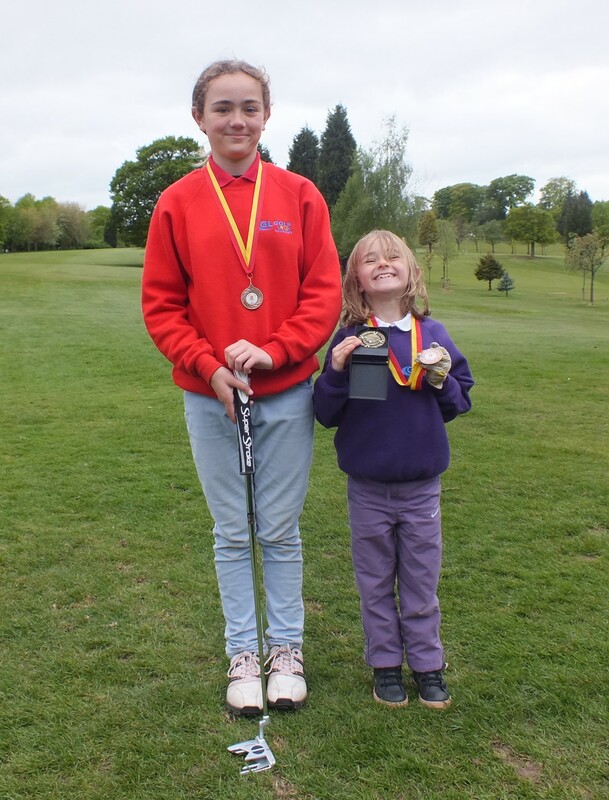 Sisters, Lucy and Emma Buckley went to Churchill & Blakedown for the first time yesterday (Saturday 16th May 2015) to compete, with both sisters playing extremely well. Lucy finished well up the leaderboard with a number of pars in the 9 hole event, but Emma managed to scoop top prize in the 4 hole event, finishing in 1st place with a score of 26! Well done to both of you! Lucy and Emma Buckley showing off their medals today back at their home course, Warley Woods. May we once again take this opportunity to once again thank Sport Birmingham and the Golf Foundation for their support on the girls projects above.